Why bother trying to get that vintage sound with older shells rotting away in some unknown basement for the past 50 years that never had any quality control to begin with??? When you can have modern made shells built with today’s extreme tolerances, varying wood options, vast amounts of finishes and parts options, and all built to your exact specs. And trust me, we repair old vintage drums constantly! 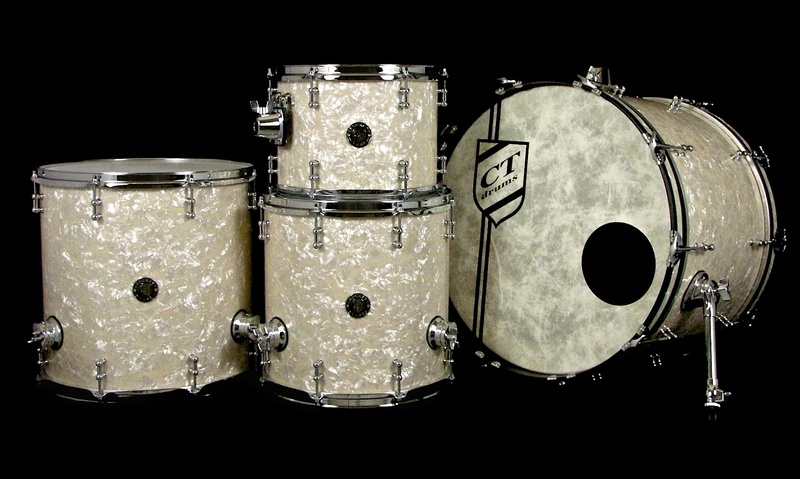 These vintage style 3ply shells have been a great addition to our vintage series line. They are molded of thick individual plies and have that warm, woody tone that is always sought after for any vintage enthusiast. A true RadioKing style remake that is available in various woods with or without reinforcement rings. The shells are constructed of a 1/16″ inner and outer ply sandwiched with a thick 1/8″ poplar core. 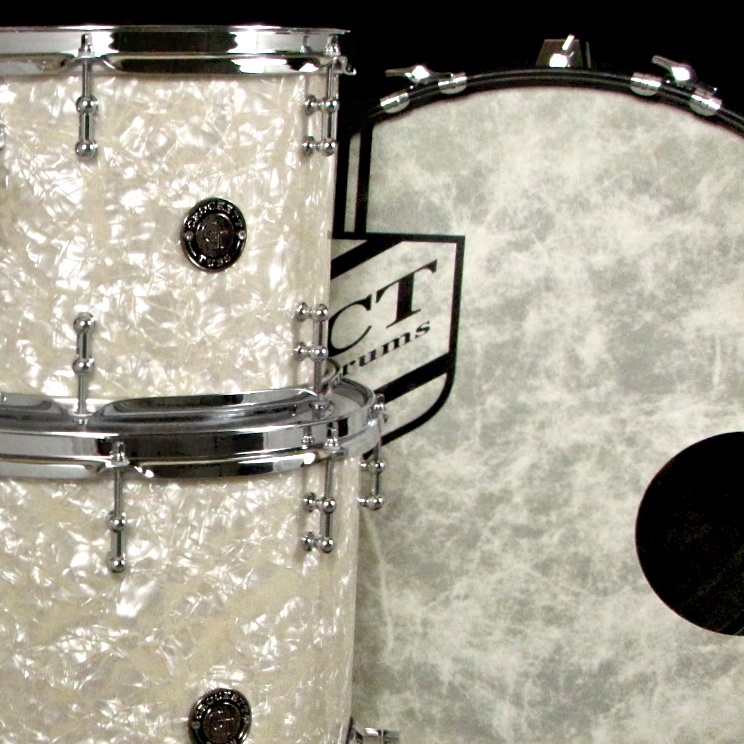 Road tested and highly approved from a few of our jazz bebop guys to even hard rock drummers. If you want a versatile drum and tones of warmth and a little less volume, these are them; look no further. We use a solid single ply steambent maple plank that is custom fitted per each shell just like original shells from way back. The added rerings help add a touch more cut and clarity, while stabilizing the shell. Straight wall shells featured without rerings have a deeper tone and softer touch. Rerings are not necessarily needed for shell roundness like they were back in the day, but on larger kick drums we do add a 4th ply of poplar to help increase volume, attack clarity and integrity. Each rering is custom beveled on the inside of the shell to integrate a streamlined custom touch. A large vintage style roundover bearing edge is used for maximum head to shell contact and allow for a super low tuning and fatness. Straight wall shells without rerings feature a slightly smaller roundover and the apex is pushed closer to the outside third of the shell rather than inside like shells with rerings. 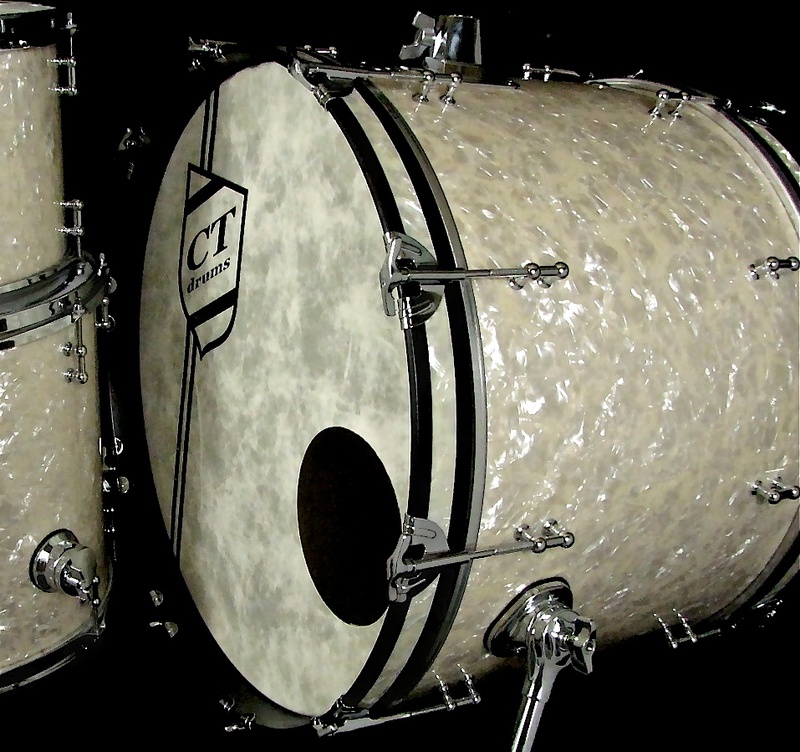 To accompany your vintage series drums, custom theme options can include bass drum hoop inlays, T-handle bass drum tension rods, vintage rail tom mount, vintage bass drum spurs, 8 lug snare drums with vintage single point strainer, and much more. Email us for more details. Expect more from Crockett Tubs. These are custom shells, exotic and other domestic woods and configurations can be used. Send us an email for more details or special requests.